Specialist repair and clean up service for Macbook laptops following liquid damage. Be it Tea, Coffee, Wine, Beer, Juice, Milk, or plain old water. We are here to help in London, and Essex. Not all your keys working after a spill? 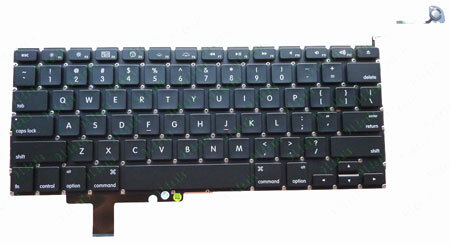 We can replace the Macbook keyboard. Full removal, dy out, and clean of Macbook Logic boards following liquid spills. Experts in accidentel liquid damage repairs and data recovery for Macbook models. Have you just had a accident with your Macbook? Its all too often heard how a spillage over the Macbook has accidentally occurred. It could be teas, coffee, juice, wine, beer, milk, coke, or plain old water. Once liquid gets into the Macbook it can cause a whole load of problems. Here at iFixExpress we are specialists in liquid damage repair and recovery. In the worse case situation it should still be possible to recover data. If liquid has just got into you Mac then hers what we suggest (follow the steps below). Immediately Shut down your Mac by the power button, unplug the magasafe mains adaptor right away. Keep the Macbook open and turn it upside down (the best option is to lay it flat on a towel. Next your going to need to remove or disconnect the battery. If its the pre unibody Macbook or Macbook pro then you can easily remove the battery from the bottom with a small coin. If however you have a Macbook unibody (this is a macbook with black keys) you will need to remove the bottom plate with a philips screw driver then disconnect the battery from the logic board. Unfortunately you will not be able to remove the battery in these models as you would need Apple’s issued Penelope screw driver. Store your Macbook in a warm dry place like an airing cupboard for 24 hours. Finally Contact us with full details of what has happened and we can arrange for a full inspection. What Not To Do! It is important not to try and switch on the Mac once this has happened, do not shake it as this could make it worse. Finally do not do what a lot of people do and use a hair dryer. You may have also heard about putting it in a bag of rice (this is mostly a myth). After liquid damage believe it or not there is a good chance of your Mac working again, however it is more than likely new parts will be in needed and in some cases it could work out none economical to get it repaired. Does This Affect Apple Care Warranty? Another big question we get asked is if the mac will still be covered under Apple Care. Unfortunately not as Apple do not cover accidental damage within this policy.This kind of repair could also be very costly with Apple as there will more than likely just change parts at full price and possibly not take there time with a dry out and restore procedure. I Tired To Turn It On! Did uo try and turn you Macbook on again? You may find that it is not powering on at all, it maybe that you plugged the power cable in and the LED on the magasafe power supply is dimly lit. If you Macbook did come on some or all of the keys on the keyboard are not working, or the chime is hear when you turn it on but the screen is black. If you are experiencing any of these symptoms its very important you not follow the “what to do if liquid gets in my Mac” above procedure. Once you have followed this then give us a call. The possibility of repair is based on where actually the liquid has made contact on the logic board. It only take a very small amount to cause major damage to the internal logic board (circuit board). 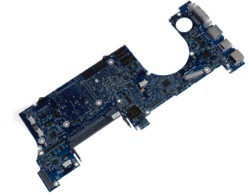 The Macbook logic board has many small components that play a vital role in the running of the Mac. 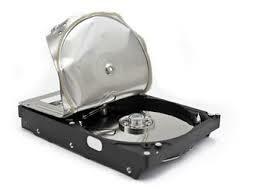 Here at iFixExpress in London we have seen, repaired, salvaged data from many a liquid damage macbook. We understand the pain of having a damaged Mac That’s why our certified iFixExpress technicians look after each and every detail of the repair process. 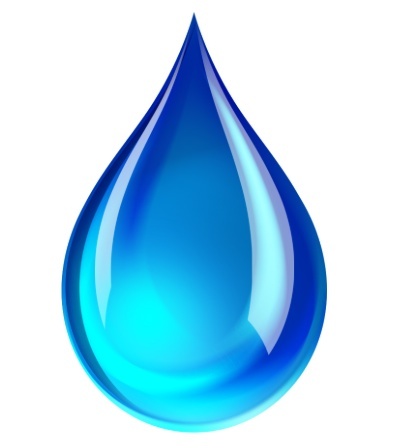 Water damage repair includes diagnostic and ultrasonic cleaning. Contact us today on 0845 8340933 and key in ext 7 for our Mac repair team in London. Areas Covered By Our Mobile Technicians : Leiwsham SE13, Peckham SE15, Walworh SE17, Crystal Palace SE19, Dulwich SE21, Forest Hill SE23, South Norwood SE25, Islington N1, East Finchley N2, Finchley N3, Finsbury Park N4, Highbury N5, Highgate N6, Holloway N7, Crouch End N8, Edmonton N9, Muswell Hill N10, New Southgate N11, North Finchley N12, Palmers Green N13, Southgate N14, South Tottenham N15, Stamford Hill N16, Tottenham N17, Edmonton N18, Archway N19, Totteridge N20, Winchmore Hill N21, Wood Green N20, Camden NW1, Cricklewood NW2, Hampstead NW3, Hendon NW4, Kentish Town NW5, West Hampstead NW6, Colindale NW9, Willesden NW10, Golders Green NW11, Hornsey N8 , Cricklewood NW2, Hampstead NW3, Hendon NW4, Kentish Town NW5, Kilburn NW6, Mill Hill NW7, St John’s Wood NW8, The Hyde NW9, Willesden NW10, Golders Green NW11, Croydon CR0, DA5 Bexley, Bexleyheath DA6, Ilford, Essex IG1,Gants Hill IG2, Seven Kings IG3, Redbridge IG4, Clayhall IG5, Barkingside IG6, Chigwell IG7, Woodford Green IG8, Loughton IG10, Bethnal Green E2, Manor Park E12, Isle Of Dogs E14, North Woolwich E16, Waterloo SE1, Enfield EN1, Barnet EN5, Brent Cross NW4, Blackheath SE3, Camberwell SE15, Charlton SE7, Eltham SE9, Kensington SE11, West Norwood SE27, Thamesmead SE2, Brockley SE4, Catford SE6, Deptford SE8, Greenwich SE10, Lee SE12, New Cross SE14, Rotherhithe SE16, Woolwich SE18, Anerley/Penge SE20, East Dulwich SE22, Herne Hill SE24, Syndenham SE26, Pimlico/Belgravia SW1, Chelsea SW3, Earl’s Court SW5, Knightsbridge, South Kensington SW7, Stockwell, Brixton SW9, Battersea SW11, Barnes SW13, Putney SW15, Tooting SW17, Wimbledon SW19, Brixton SW2, Clapham SW4, Fulham SW6, South Lambeth SW8, West Chelsea SW10, Balham SW12, Mortlake/East Sheen SW14, Streatham SW16, Wandsworth SW18, Raynes Park SW20, Mayfair, Marylebone, Soho W1 Acton W3, Eailing W5, Hanwell W7, Maida Vale, Warwick Avenue W9, Notting Hill, Holland Park W11, West Ealing W13, Bayswater, Paddington W2, Chiswick W4, Hammersmith W6, Kensington W8, Ladbroke Grove, North Kensington W10, Shepherd’s Bush W12, West Kensington W14, Barking IG11, Wembley HA0, Harrow HA1, Wealdstone HA3, Ruislip HA4, Pinner HA5, Northwood HA6, Stanmore HA7, Edgware HA8, Wembley HA9, Romford RM1, , Chadwell Heath RM6, Rush Green RM7, Becontree Heath RM8, Becontree RM9, Dagenham RM10, Hornchurch RM11, Hornchurch RM11, Elm Park RM12, Rainham RM13, Upminster RM14, South Ockendon RM15, Chafford Hundred RM16, Grays RM17, Tilbury RM18, Purfleet RM19, West Thurrock RM20, Whitechapel E1, Shoreditch E2, Bow E3, Chingford E4, Clapton E5, East Ham E6, Stratford E7, Hackney E8, Hackney Wick E7, Leyton E10, Leytonstone E11, Ilford E12, Plaistow E15, Docklands E16, Walthamstow E17, South Woodford E18, Stratford E20, Manor Park E12, Whitechapel/Stepney E1, Forest Gate E7, Homerton E9, and Plaistow E13. 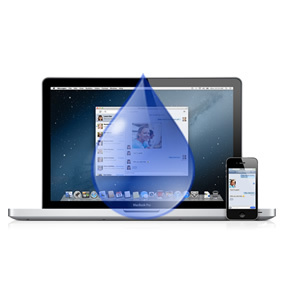 If you are in any of the areas above throughout London and Essex and have accidentally spilt water orlquid on your Macbook then contact us right away for swift and reliable advice. You can call us on the number above or use or contact page to send us a message.